The World Players of Handball Foundation returns to the infamous New York Athletic Club for the sixth stop of the professional handball season. 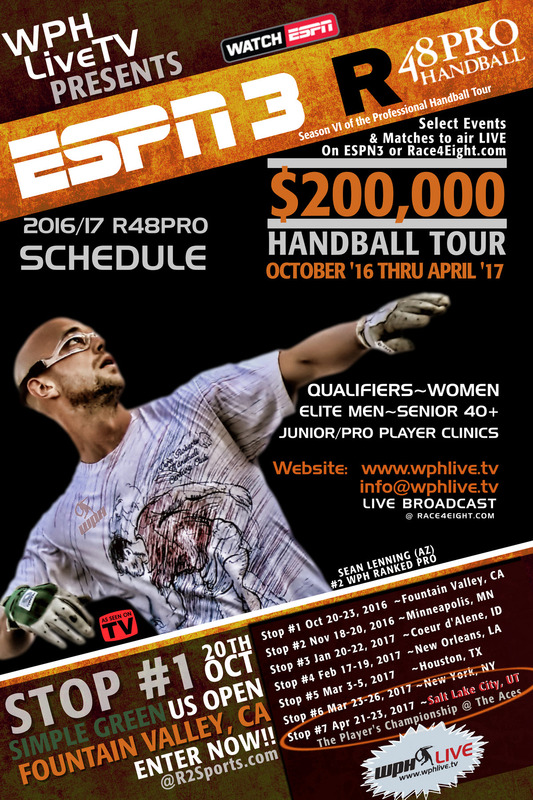 Once again, WPH will air pro matches LIVE on race4eight.com (Sat and Sun) while bringing along the world’s best women and men’s athletes. Pro Qualifier begins at noon Thursday; continuing Friday morning, March 23rd. Main draw pro matches begin at 12pm Friday (pros rd of 16), while some local brackets begin on Thursday after 12 noon. Women’s pros begin Friday morning. WPH will film and broadcast these games on ESPN3 or you can watch court side. Contact us for details (below).